Thanks to the Internet and online shopping websites like eBay, everyone has the opportunity to either earn some money by putting items they no longer need up for auction or to purchase quite interesting and uncommon things for an affordable amount of money. But, such sites have also enabled the sale of some rather unusual and simply bizarre stuff for unexpectedly high prices. Take a look at our list of the most absurd auctions on eBay. A man named Andrew Fisher listed a quite uncommon item on eBay – his own forehead. As the professional web designer explained, for a whole month, he would tattoo a brand logo with temporary ink on his forehead. Fisher's listing started a bidding war and eventually, 'SnoreStop,' an anti-snoring product won the auction. The price reached a whopping $37,375. 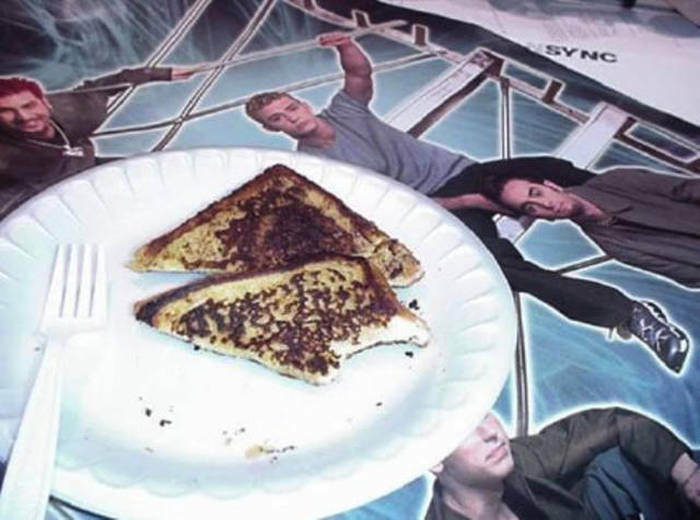 In 2000, a French toast that Justin Timberlake started, but did not finish eating after an interview for one radio station in NYC, was auctioned for $1,025. It was the DJ who listed the toast for sale, only to be bought by a die-hard fan that was 19 years old at the time. 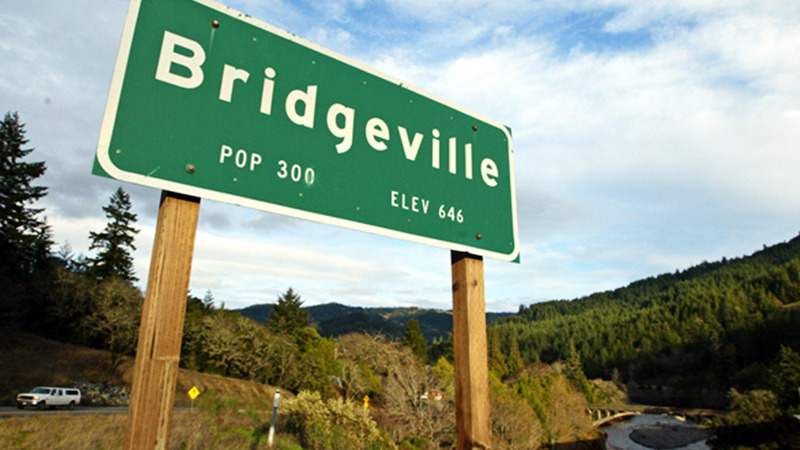 The Lapple family were the owners of a tiny town named Bridgeville inhabited by 25 people and located in Humboldt County, California. They decided to auction it off on eBay in 2002. $750,000 was the starting price for the town, but it finally reached a top bid of $1.8 million by an LA businessman. But, the sale did not end well, and Bridgeville was sold for $800,000 to another businessman. Sean McCoy designed a metal armor for Lucky, his pet Guinea pig. Unfortunately, the poor animal died shortly afterward, so he never got to use it. Sean didn't know what to do with the armor, so he listed it on eBay. To his surprise, the auction went quite unexpectedly – 47 bidders participated, and the armor was eventually sold for an amazing $24,300. An online casino that was popular for buying a grilled cheese sandwich which sported an image of the Virgin Mary had scored yet another strange deal. 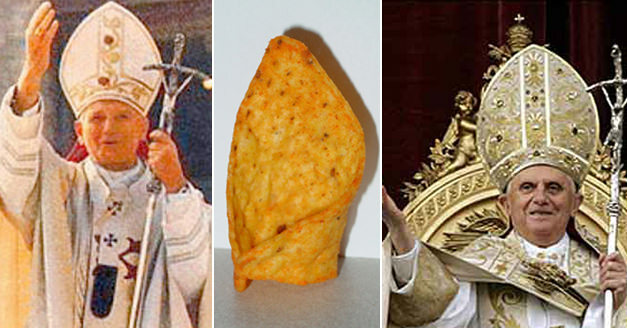 Namely, GoldenPalace.com placed a bid on a Doritos' Nacho Cheese tortilla chip which looked like the tall hat worn by the Pope. After 34 bids, the strange chip was purchased by GoldenPalace.com for $1,209.